Volleyball photos from the 2011 Nike Big 4 Classic, held 9/9 to 9/10 at Maples Pavilion, Stanford (Photos are from 9/10 only). #3 ranked Stanford outlasted a determined Florida Gators squad (#7) 25-17,25-20, 20-25, 15-13. 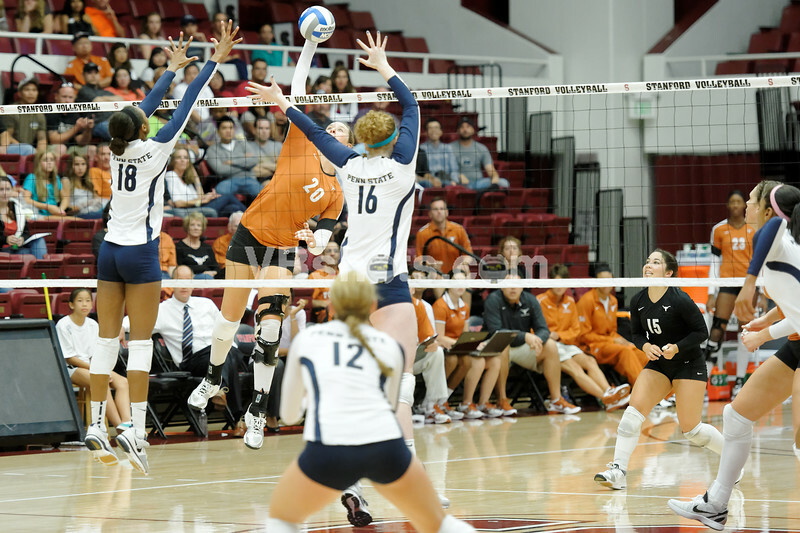 In the consolation match, tenth ranked Texas defeated second ranked Penn State 25-23, 25-20, 19-25, 14-25, 15-10.